Canada is a country of massive size, of diverse geographical features and an equally diverse population—all features that are powerfully reflected in the relationship between its modern architecture and the natural environment. Those features contributed to the manner in which modernist approaches have shaped Canadian architectural, landscape and urban design. 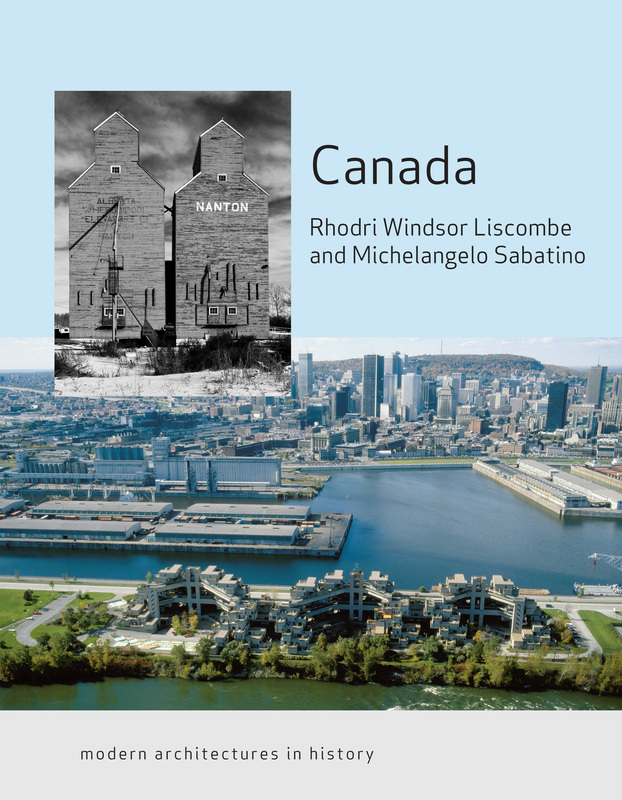 Consequently the book presents a richly informative history of Canadian architecture that takes a fresh perspective on design production and its relationship to wider cultural and social development, the country’s many contributions to the spread of architectural modernism in the Americas. This book thus creates wider dimensions and understandings around the natural and built environments of Canada. Riverside resident Michelangelo Sabatino, PhD, is professor and director of the doctoral program at the IIT in Chicago. Sabatino’s first book Pride in Modesty: Modernist Architecture and the Vernacular Tradition in Italy (2011) was recognized with the Alice Davis Hitchcock Award. In addition to Canada – Modern Architectures in History (2016) (with Rhodri Windsor Liscombe) forthcoming publications include: Avant-Garde in the Cornfields: Architecture, Landscape, and Preservation in New Harmony (2017) and Arthur C. Erickson: Architecture into Landscape (2017). Rhodri Windsor Liscombe, PhD, is professor emeritus in the Department of Art History, Visual Art & Theory at UBC. His books include monographs on William Wilkins (1980), Francis Rattenbury (1983), Robert Mills (1994) and an exhibition and book for the Canadian Centre for Architecture entitled The New Spirit. Modern Architecture in Vancouver 1938-1963 (1997). His most recent book is Architecture and the Canadian Fabric (UBC Press, 2011).